In less than 24 hours, the AMD GPU ’14 conference would being and would be live-streamed all across the globe straight from Hawaii. What makes the launch so special is that AMD would be announcing after an hiatus of two years their new graphic cards known as ‘Volcanic Islands‘ and what way could be better than announcing their latest architecture at the famous volcanic island of Hawaii. AMD GPU ’14 conference is said to be one the most important presentation this year related to the PC tech world and it certainly is. The AMD ‘Hawaii’ architecture which is going to be announced today is an engineering marvel just like its competitor, the GK110 from NVIDIA. The Hawaii, like its rival is based on a 28nm process and fused on a die spanning a size greater than 420mm2 though it is considered 30% smaller than the GK110. Matt Skynner of AMD said in an interview with Forbes that their company wouldn’t price the Hawaii based GPU along the ultra-enthusiast price range of $999 and more but would rather deliver a product that while remaining competitive at the Ultra-End enthusiast front from a performance perspective remains priced closer to its older sibling, the HD 7970 which was $549 US at launch. Coming to the naming scheme which has been a matter of confusion for some time now, AMD would also unveil their new R-200 series codenames and a reason behind why they opted to move away from the Radeon HD **** naming scheme. 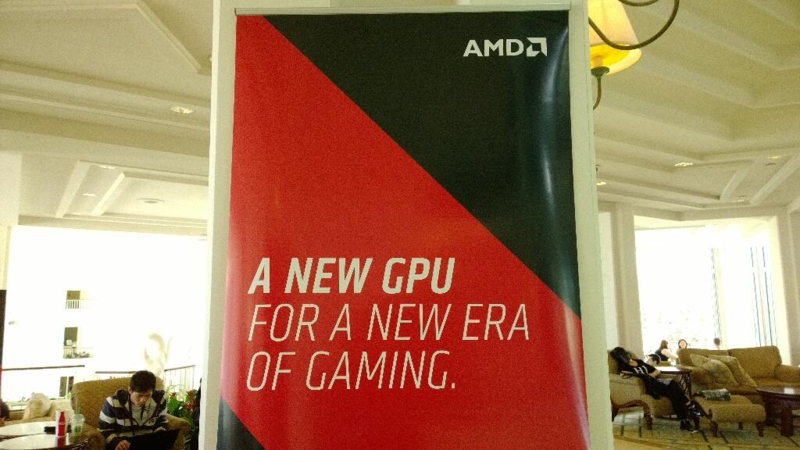 It is fairly easy to believe that Hawaii isn’t the only chip architecture which AMD would unveil at the event. Aside from Hawaii, AMD may also announce Tahiti, Curacao, Bonaire and Oland based graphic cards at the event though we cannot confirm much regarding their details at the moment other than Bonaire and the Tahiti based chips which we have already seen on the HD 7000 series cards. Aside from the architecture announcements, AMD would also be showcasing new yet to be announced gaming technologies and features mostly related to OpenCL, DirectX 11.2 and more. We know for sure that AMD’s Ruby would be marking a return in the form of a brand new tech demo made with Crytek’s powerful CryEngine 3 and we also just came to know that RobertSpaceIndustries (RSI), creators of the multi-million dollar funded project ‘Space Citizen’ would also be marking an appearance at the event. The game is also being built on the CryEngine 3 powering Ruby Tech demo. Its great to know that RSI have been funded just around $20 million US dollars by their loyal fans who want Star Citizen to become a reality. More on Star Citizen can be found here. AMD’s Raja Koduri (Vice President of Visual Computing) has addressed in a preview that AMD would also put focus towards the Eyefinity, CrossFire and Linux operating system driver support with their next generation of products. AMD Eyefinity and Crossfire support has been pretty much underwhelming with the Radeon HD 7000 series and while AMD did release a new driver after the launch of their reference HD 7990 GPU, the problem still exists for anyone doing Eyefinity gaming. PCPerspective and The Tech Report have been the first few sites to shed light on these issues and you sure might want to head over to both portals to know why the problem is so big for Eyefinity and CrossFire users. Today would be an exciting day for the entire PC community and we will be providing you the latest updates and developments regarding the AMD GPU ’14 press conference. Do let us know your thoughts regarding AMD’s up-coming announcement in the comment section below.